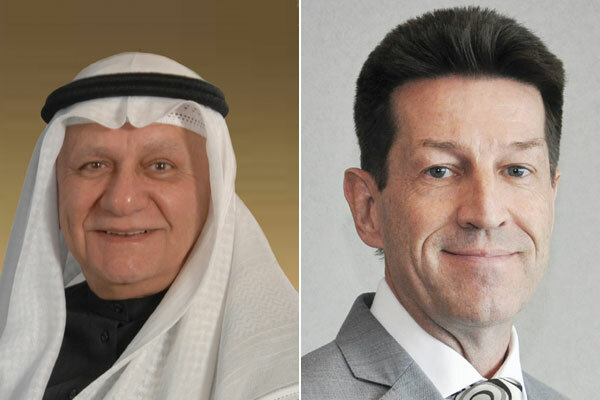 Gulf Hotels Group, a leading hospitality chain in Bahrain, has posted a net profit of BD1.117 million ($2.9 million) for the third quarter of 2018, compared to BD2.809 million ($7.4 million) during the same period last year - a decrease of 60.23 per cent. The company achieved a net comprehensive income of BD1.201 million ($3.1 million) for the third quarter, compared to BD2.367 million ($6.2 million) in the third quarter of last year, a decrease of 49.26 per cent. The company also achieved an operating profit of BD2.922 million ($7.6 million) in the third quarter, compared to BD3.102 million ($8.1 million) in Q3 last year, a decrease of 5.78 per cent. With regards to revenue/sales, the company achieved BD8.225 million ($21.6 million) during the third quarter, compared to BD9.160 million ($24.1 million) in the same period last year, down 10.21 per cent. Earnings per shares during the third quarter were 5 fils ($0.01) compared to 12 fils ($0.03) in the third quarter of last year. The decrease in the net profit for the third quarter in comparison to Q3 2017 relates mainly to preopening expenses, interest costs and depreciation for the new Gulf Court Hotel Business Bay in Dubai, which opened from the August 1. In Bahrain, hotel operations continue to be affected by a decrease in room’s revenue, which is driven by lower room rates and lower occupancies. Food and beverage (F&B) income was also affected by lower occupancy levels but were also impacted by the closure of the Gulf Convention Centre and a number of outlets, which were under renovation in Q3. In addition, reduced profit of BD299,000 ($787,882) were recorded from associates and share investments. With regards to the YTD financial results, the company achieved a net profit of BD5.740 million ($15,1 million) compared to BD8.679 million ($22.8 million) in the previous year, with a decrease of 33.86 per cent. The company achieved a net comprehensive income of BD6.035 million ($15.9 million), compared to BD8.190 million ($21.5 million) in the previous year, a decrease of 26.31 per cent. The company also achieved a YTD operating profit of BD8.763 million ($23 million) compared to BD9.973 million ($26.2 million) last year, with a decline of 12.12 per cent. With regards to revenue/sales, the company achieved BD24.825 million ($65.4 million) compared to BD27.546 million ($72.5 million) last year, down 9.87 per cent. Earnings per shares were 25 fils ($0.06) compared to 38 fils ($0.10) in last year. The total assets for the YTD reached BD137.872 million ($363.3 million) compared to BD118.505 million ($312.2 million) in the previous year, up 16.34 per cent. The decrease in the net profit for the YTD in comparison of last year results from the same issues that negatively affected Q3. In addition, reduced profit from associates and share investments rose to BD742,000 ($1.9 million). The chairman, Farouk Almoayyed, said that he was delighted that the group’s new hotel had opened in Dubai but that this had an impact on the quarterly financial performance. He once again highlighted the challenges facing the hospitality industry in the Bahrain, which continues to face declining occupancies and room rates and believes that the industry is now in a very critical situation, having seen year on year decline for the past five years. Significant increases in operating costs have also eroded the bottom line and the pending introduction of VAT is further likely to add to the difficulties faced by the industry. Almoayyed added that Gulf Hotels Group will shortly be opening the Gulf Executive Residence in Juffair in last quarter of 2018, however, he stated that the group is reconsidering the capital investment plan that was initially in place for 2019, in the light of the difficult trading conditions.